Throws Lab Track & Field Throws Camps! 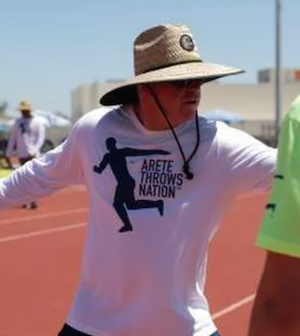 Throws Lab hosts year-round Track & Field Throws Camps at Discus, Rotation, Glide Shot-Put Camps, Hammer camps, Throws camps and one-on-one training. In order to develop into an elite thrower, there are simply no shortcuts. Training frequency & intensity are a must for one to ACHIEVE AND SUCCEED. ​These 5 variables result in a different rate of success for each thrower in the TCR™ program. Coach Fouts is a certified Throws Nation coach & has completed level 2 of the TCR™ system. He was a two sport athlete in high school (Football & Track) and played his college football at Santa Clara University and UCLA. In 2011 he became a full time coach and currently coaches Track at Diablo Valley College, De La Salle High School, and Carondelet High School. Over the past years his athletes have achieved two top 5 finishes at the USATF Junior Outdoor Championships, has had 5 podium finishes at state, won 26 discus and shot put titles, and broke a 42 year old NCS section record in Discus (205’ 7”). John Currently lives with his wife Carol and their children in Clayton.